Tarot Challenge: How would YOU interpret this reading? A friend of a friend – let’s call her Sarah – came to me all in a flap! She was so excited because she’d just met someone who seemed like the perfect guy – handsome, sweet, witty, rich and worldly. They had an instant connection and she agreed to a date with him on Saturday, just three days away. 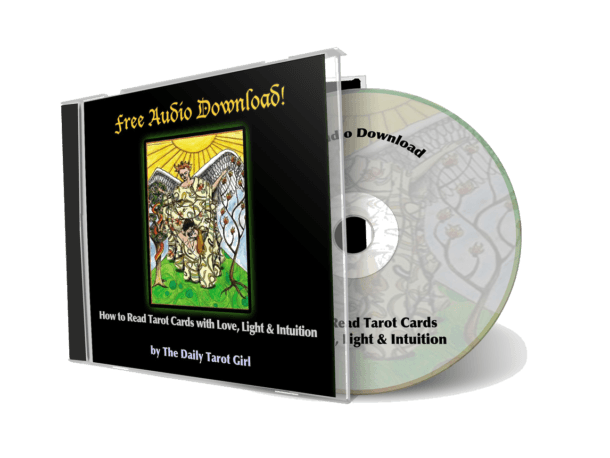 She was pretty certain they would end up marrying and having babies, but she wanted to see what the Tarot cards had to say about it. Her question was what is the long term potential of this relationship? I shuffled and drew three cards: The Tower, Five of Cups and Ten of Swords. I gave her my take on these cards and she was NOT happy. She was very disappointed in the reading and even though I tried my best to find a silver lining and steer things in a positive, empowering direction, it was nearly impossible! I can’t wait to read your response!!! Enjoy this post? 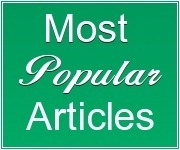 Sign up for FREE updates! 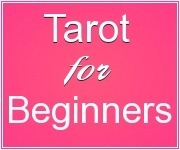 My monthly newsletter is full of Tarot spreads, Tarot exercises, deck reviews and more. Stay in the loop! 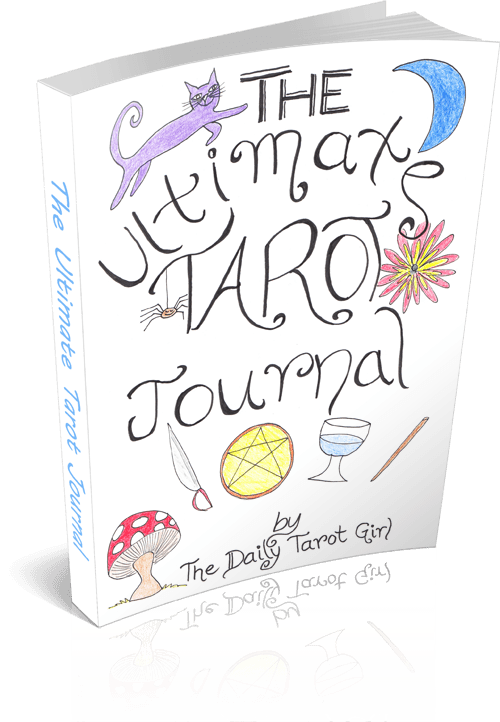 This entry was posted in October 2017, tarot challenge, Tarot Challenges. Bookmark the permalink. 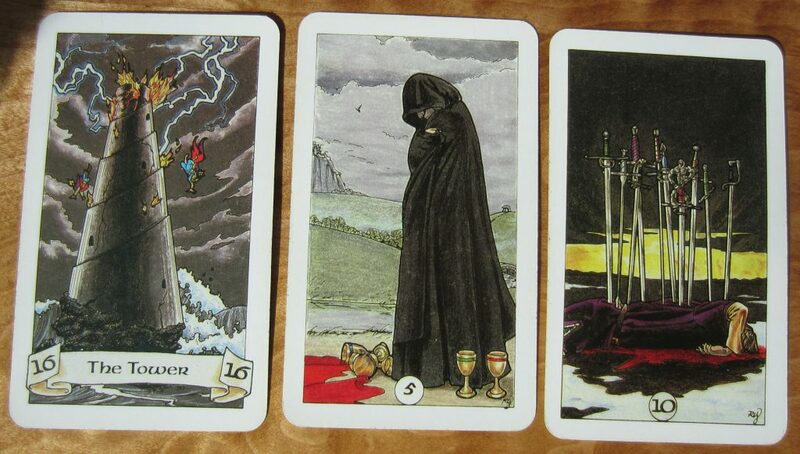 51 Responses to Tarot Challenge: How would YOU interpret this reading? I see/ feel this person is so lost. I believe she is in shock after a loved one has died (or left her) and forced her to face up to reality. She will reach a time when she will realize the worst is over and life goes on. She will meet someone from the past following a long absence which will give her renewed hope to start afresh. Maybe the Tower resembles a positive expectation she had to the reading itself, something she was sure of, and with the card combination fell apart. Funny how Tarot cards can have various interpretations sometimes. You want to be sure about what exactly it indicates sometimes, but often time must tell what exactly will happen! Sarah and maybe the Guy comes from a past failure relationship, it was something that happened fast and abruptly, but both come from a bad experience…(Tower), at the present moment, this opportunity appeared (5 Cups) as represented by the standing two cups, but, they are still suffering from their last experience, maybe they took a fast decision for dating because they don´t want to be alone, at the bottom of the heart, they are still thinking about that past experience, in the future, that experience from the past will crash the new relationship between Sarah and this guy…why? Because their thoughts are still attached to that past, so, at the end, both are still engaged to that past experience….there is no future, because they are still suffering. Wow…first glance it gave me the chills. This supposed great romance happened to suddenly….wham like you were struck by lighting you! There were previous disappointments and hurts. Seeing the 10 of swords as the last card (future perhaps) there will be such a let down she can fall into a depressive state. This is a short version. But perhaps a longer one would only lead this girl into an emotional wreck. The positive I can find is… I would say better to know of this now then to really set yourself up for some major hurt. Throw the fish back in the water unless he PROVES differently! Wow…first glance it gave me the chills. This supposed great romance happened to suddenly….wham like you were struck by lighting you! There were previous disappointments and seeing the 10 of swords as the last card (future perhaps) there will be such a let down you can fall into a depressive state. This is a short version. But perhaps a longer one would only lead this girl into an emotional wreck. The positive I can find is… I would say better to know of this now then to really set yourself up for some major hurt. I think she should forget this relationship! Yes this will be a big change for her and the Tower is suggesting a need for her to break out of her comfort zone and make changes in her life but not with this guy! I see her possibly feeling drained and alone with this guy and feeling like a shadow of herself mourning how her life used to be. I think also that he has a potential for being emotionally abusive also. The only positive thing I can give on this reading is that this situation will help her see which guys are abusive and in time she will be stronger. She should keep him in the friend zone or walk away! Apologies for my late reply here. Wow. First, I’m responding to this before reading others’ comments. The long term potential of this relationship is very destructive. In this case, the worse thing I see is that there is a long term relationship. It would have been better for her if the cards had suggested no potential at all. The relationship will bring about major changes in Sarah’s life, she will become isolated and feel complete defeat. If this was my client, I would strongly suggest canceling the date all together. I honestly don’t see any silver lining at all in these cards. I would say this is not good he’s not right for her. He doesn’t feel the same way she does. She well find herself alone feeling worthless and despondent. She well have pent up feelings and feeling very bitter. Better off putting a stop to this now and cutting her losses. Initially there would be romantic chemistry and sparks. But she has set her expectations to high for this person and she would fine the relationship wanting or something missing and in the end it would be painful unfulfilling experience. To move forward the client would better serve herself to focus on what she wants to receive from a relationship. Make a list of the qualities she wants to see in her significant other and then make the request of the universe to bring her a significant other into her life with those qualities. Once that is done pay attention, stay open/receptive and be patient. Like everyone else, my reaction to these cards was, “Holy cr@p!” But I asked the cards why. She just met this guy and mentally flew a few years down the road to married with children. It seems to me that she is engaging in magical thinking. I would ask her questions about her definition of happiness, love, communication, etc. These “values” have different meanings to different people. When I asked the cards why this spread showed such a negative outcome, I received the 6 of Pentacles reversed. There will be problems with giving and receiving, with expectation, with distribution of resources, with flow…a major power imbalance. She needs to get clear in her mind on what her values are…in specific terms, and be able to communicate these needs to future potential mates before she mentally leaps ahead to the altar with a total stranger. Her fantasy, if it is just a fantasy, may be harmless. But if she shackles her potential mate with these fantasy expectations without a firm grounding in reality, she’s facing a painful life lesson. I interpreted this reading as she has had big dating disasters or unexpected results (the tower) which now she needs to heal from the loss or get over her “unhappy” reading ( 5 of cups) otherwise she will hit rock bottom with this relationship. (10 of swords). I don’t think it’s saying no…just that she has work to do with herself or THIS relationship will not be in her best interest or highest good. I believe she will find out that he drinks….Too much! He may be hiding it, or have an addiction. I think that her relationship has no potential because the tower for me is distruction which it could possibly be she found out something in which it completely made drastic changes. I’d say maybe cheating which with the 5 of cups means she is not happy, she is sadden or depressed and with the 10 of swords she feels she has been awfully betrayed and hurted by that person. So maybe the reason is she found out she was cheated on and felt into depression and feels hurted. And the reason she asks if her relationship has pontential maybe is to know if its worth staying together. The relationship definitely shakes up her life and turns it upside down which may seem like blinding love but the quiet voice inside is telling her that’s not the case nonetheless she to is ignoring her intuition and carrying on with her silver lining illusion in the end she’s sabotaging herself. ???? Fantastic idea, Twyla! I often do this as well. For some reason I forgot to with this reading, but it’s always interesting how people interpret the cards, especially if they’ve never read Tarot before. Strong attraction, fireworks infact. Something is not right with this fella. The image he portrays is not who he really is and sadly she will get hurt. She will be depressed but will get over it. Is he already married snd looking for a fling? Advise her, by all means have a date with this fella, but be aware all may not be what it seams. Phew! I would love to hear how you handled her after she heard the news. ooh, the first thought process i had when i glanced at the cards were: a sudden negative change brought on by this relationship (the tower), then seeing the negatives of the situation when there are also positives (5 of cups), and bringing on the martyr aspect of the 10 of swords, i feel like she sees the reading itself and kind of shoots herself in the foot with it. Its kind of meta in a way, that the reading itself is talking about how it will affect this querent. Does that make sense? I’m confused now! Sure, this relationship will change your life. Maybe you will get married, maybe you will have babies, but in the long term, it will be a tragedy. You’ll need to be your own tower and deconstruct what you perceive to be the “ideal guy.” This is a new, potentially fruitful project! You may have spilled three cups in the process, but remember those two preserved glittering cups and drink from them! If you forget them, you’ll be doomed to drown in self pity. I don’t usually take the cards literally, but in this case I had a strong gut feeling that this guy is dangerous. The words, “He’s spilled blood before,” popped into my head. I fear for her safety if she dates him. 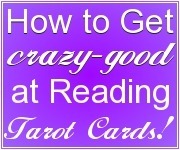 I’ve done readings for friends and family and had these card come up at various times, but never have I felt this! To go forth with this relationship would be life altering and not in a good way. It may be time to focus on herself and the needs and beliefs she holds around love and relationships to create a more healthy foundation. Exploring her shadow self and bringing it to consciousness will help her avoid unnecessary pain. Wow, no words are needed with this spread YIKES! Interestingly, my first impression was (and I tend to do this – that is why I should take your class) I see this as his reading, not hers. This guy has a history of fast relationships, broken hearts, and quickly moving on. I feel like he just rebounded from a bad relationship and he is quickly hopping into another one. Or I can be wrong, perhaps this is what she does, but you don’t want to say that to her! If I was to read her question “what is my long term relationship with this guy” – the Tower could be positive, a very fireworks explosive attraction for each other. But it will fizzle out via the 5 of cups with a feeling of disappointment or a hurt that takes place between you two and the attraction begins to simmered down. This is the time I would give the client a heads-up on a word of caution with this dude, that you might be feeling hurt or some form of disappointment with the 5 of Cups, but now is the time to evaluate this guy, take your power back and consider moving on before the 10 of swords swoops in for real disappointment and hurt. Being in the 5 of Cups situation, is a turning point decision on her part. She can choose to try to salvage the relationship with the two cups behind you and try to make something work that potentially will not and spare yourself the time and more hurt as indicated in the 10 of Swords. I don’t know why, but I also feel like he will take advantage of her financially as well. Will you be critiquing our interpretations? Thank you for this practice. More please. I believe Sarah isn’t ready for a relationship at the moment. I think she is in the process of going through a transformation & maybe a recent relationship ended abruptly leaving her feeling lost, unfulfilled & rejected. This new relationship will not survive as she will not be able to trust him or they’ll always be some reason why she doubts the relationship. I would advise Sarah to take some time out to heal herself, give it 6 months then she may have a different energy surrounding her relationships. I know this appears all doom and gloom, but for me, the 10 of swords can represent “the light after the storm” with the sun rising over the mental exasperation. Her belief of who and what this guy is will be burned down and she might be devastated, but once that sun shines past her grief, she will hopefully be able to see exactly why she needed to go through the experience. No matter how bad it may play out, it will complete a new belief, either in self or relationships. The relationship has come as a total surprise. Don’t focus on what she has lost, but what she has. The waiting around for mister right is now over. I love a challenge *-*! But, it is difficult to see something good in this relationship… although I do think there is a silver lining in the reading itself. Now, if I had dealt the cards, I would say that this could be an amazing *sexual* relationship, but it will leave her sad and disappointed. What I also see, though, it’s a way to be shaken and made stronger. The Tower shakes up some preconceived ideas she has about love or relationships; the 5 of Cups is the necessary period of mourning and sadness, while she adapts to her new reality; with the 10 of Swords she stops fighting the truth, she accepts reality and she can start anew, with a new strength and a couple of personal battles won. So this relationship will be hard and there will be a lot of sadness, but it can help her become a better and stronger person, if she doesn’t fight the Tower, which will shake some very strong ideas she has about love, life, herself or her partner. I really like this interpretation because it allows her to make her own decision at the same time she is made aware of the potential for disappointment and heartbreak. I interpret the cards as Sarah meets a person that really shakes her to the core. He’s “perfect” in her eyes, the intense attraction and her happily ever after daydreaming, to me, is shown through The Tower. The next card says to me that he is hiding something big. As soon as I saw the spread, I immediately thought Sarah’s life is going to be rocked, he’s hiding something (either a past event, or a violent shadow side) and when it comes to light it’s going to be catastrophic, leading to betrayal and back stabbing, and at the very least the death of their relationship. The last card representing the end of their relationship and it changing Sarah in the long run, changing her ability to cope in future relationships. Perhaps leaving her having to cope with the aftermath of abuse. To put a positive/empowering spin to the reading, I would have emphasized her ability to make the choice to either not move forward with the relationship or at the very least her ability to go forward with her eyes wide open so she could be on the alert for anything shady, and perhaps asking different questions to uncover things that he could be hiding. That would have been a tough reading to do! OMG this relationship is a ticking time bomb and when it blows, Sarah is going to find herself in a deep depression feeling like its the end of life as she knows it. She will get through this but better yet, avoid this relationship to begin with! Run, girl, run! Wow Kate.This definitely does not look promising for Sarah. THE TOWER looks very catastrophic.I see the 5 OF CUPS as choice making (ie 3 cups fallen over and 2 cups standing).She must decide on which steps she should take.The figure in this card appears to be pondering over what to do,which path to take.The 10 of SWORDS could mean disaster for Sarah. There is a difficult situation facing Sarah in this spread. I think that she ought to tread very carefully and not be too hasty about this relationship. Things may not have been so sure and certain as Sarah thought. Maybe she has discovered some truth(s) about the person that she doesn’t like. (I would ask her that, as my intuition say so.) If she chooses to be with him, it will end up in sorrow and regret, and most lightly Sarah will end up with a violent abuser. Sarah’s life may have been going through some chaos and change and she meets someone who maybe gives her a calming port in the storm or offers her something she is looking for at the time. She turns her back on others or circumstances that were a constant in her life only to find out that the guy she is involved with turns out to not be all she had hoped for and she is devastated. The relationship comes into her life totally upsetting her normalcy as she knows it. However, it doesn’t end up being a happy change. She trades her long time friends that have always been there for her, for betrayal. He uses her, leaves her , and she’s left alone to pick up the pieces. Oh my goodness!!! I even pulled a card for her to see what she can do so it doesn’t End in the backstabbing, Using my tarot Deck Joie de Vivre By Paulina Cassidy I pulled the 8 of Cups Which I interpreted as she needs to leave take her heart with her which I see as the basket of pretty flowers. There is just no way to save the relationship.there is some else out there for her just not him. The Tower signifies discord, catastrophe, confusion and chaos. There can be complications, frustrations, all sorts of mess. You will not be the same after these events. Be warned! It’s very telling how the bottom of the card shows the tower solid yet dark but by the top all is 50 shades of crazy! It’s like you are stepping into a bad situation and when you reach the top it’s out of control. 5 of Cups – signifies negative events or happenings. The caped figure looks in despair, head down, possible shame, sadness, withdrawn, cold and alone. The cup’s contents have been spilled. This person is facing depression. They will not be left with much. (two cups standing.) They will lose alot. 10 of Swords – signifies tough or dark times ahead. It’s going to be a hard fight. Exhaustion. You won’t be defeated (it’ll take “10 swords to bring you down”) but you will be wounded in the situation. You will need help to recover. The Friend is strong – there is alot of strength in this person but this relationship will push them beyond a point where it will be hard to recover. It will change them. The silver lining is that the friend is being forewarned. Don’t go on this date with your mind set on rainbows and unicorns and butterflies. She needs to stay focused and grounded if she goes on this date. It would be fruitless to tell her not to go on the date because she sounds set on doing it anyway if she hated the reading. But I would urge (plead!) her to not let things slide or ignore even the little things. Keep a scorecard and compare the pros and cons of there conversations, meetings, etc. And to please be careful!!! Thank you so much for opening this reading for us to learn and interpret also! I really enjoyed this idea! Will you be doing this again? Yikes! Quite a lot of bad news to have to deliver to the querent. I can’t wait to hear how you navigated that minefield . I suppose the gentlest way to deliver the news would be to suggest that she go slow going into the relationship: make him work to win her heart while keeping her wits about her because there is a strong possibility that Mr. Perfect is not. I would encourage her to play hard to get and find out as much about the man as she can before she lets him get close. If she allows herself to be swept off her feet , as she would appear inclined to do, she will likely experience heartbreak and it will be all the more painful because she will feel totally betrayed. If that reading is completely off-base , she will lose nothing for having proceeded with caution . If the guy really is a gem , he will love her all more for having made him work to win her heart. What I interpret in this reading is I get the feeling she is going to find out something that is going to give her a left-upper-right -cross hit to the gut and even though she is sad about it and wants to find something good in it ends with just digging in the dagger deeper…she should not expect any thing and and leave while she is ahead ???? The “silver lining” is, she had her cards read. The querent is still holding on to feeling from her previous relationship which toppled her world. Deep down she is feeling grave loss and is attempting to supplement her hurt in the new “relationship.” This will lead to the new relationship and her demise emotionally, intellectually, and spiritually.